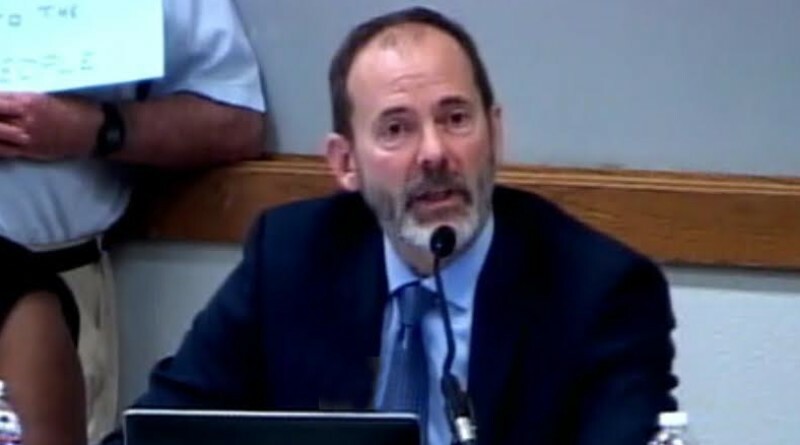 MORRO BAY — The California Coastal Commission made history on Feb. 10 when the state agency responsible for policing 1,100 miles of California coast fired its executive director. It is the first time commissioners voted to fire the commission’s executive director. Lester was fired despite hundreds of people filling the Morro Bay Community Center Auditorium to address the panel and urged the commission to allow Lester to continue serving as executive director. Commissioners also received hundreds of letters from stakeholders, environmental groups and elected officials expressing support for Lester. The 7-5 vote was conducted behind closed doors despite hundreds of pleas from the community for commissioners to conduct deliberations and voting in public. Commissioners voted 9-3 to deliberate Lester’s future in closed session, explaining the decision would be made in secret to protect the now former executive director’s right to privacy. The commission’s counsel, however, informed commissioners they could deliberate in the open since Lester elected to defend himself through a public hearing. Voting against Lester’s continued employment with the commission were Olga Diaz, Erik Howell, Martha McClure, Wendy Mitchell, Effie Turnbull-Sanders, Roberto Uranga and Mark Vargas. Chair Steve Kinsey joined Dayna Bochco, Carole Groom, Mary Luevano and Mary Shallenberger in support of Lester. A still packed auditorium, almost 12 hours after the day’s hearings began, gave Lester a prolonged standing ovation. The cheers became louder after Kinsey banged his gavel several times and asked for order so Lester could conclude his comments. Moments later Kinsey adjourned the meeting. Very little details were revealed as to why Lester was dismissed. Some hinted Lester’s tenure as executive director was marred by organizational mismanagement, such as his alleged failure to return phone calls and not always providing the commission with the guidance to properly vote on important projects. Deputy Director Jack Ainsworth will assume the executive director role until commissioners select a permanent successor. The final vote ended almost a full day of emotional testimony and deliberation about Lester’s work with the Coastal Commission. Lester received unanimous support from just about everyone who addressed the dais. Some members of the overflow crowd who filled the Morro Bay Community Center Auditorium, where the public hearing was held, waved handmade signs expressing support for Lester. The crowd was also quite vocal, cheering and booing at opportune times. There were photos posted on Twitter showing a large crowd outside the Community Center Auditorium and apparently being turned away from the Coastal Commission meeting because the hall had reached capacity. The agenda item of Lester’s future began with a staff report and 10-2 commission vote in favor of discussing the legal implications of the personnel decision in a closed session, much to the dismay of Lester’s supporters in attendance. The commission did not make any decisions in the morning closed session, which lasted about 30 minutes. Lester made an emotional plea to remain aboard as executive director, saying the process of protecting the California coast and provide access of the shoreline to everyone, not just those who can afford to live there. He added the process of his potential dismissal demonstrated how valuable the California coast is to the state’s residents and stakeholders. Preventing the privatization of California’s coastline was one of Lester’s primary missions. He also suggested a commission subcommittee to look into increasing the agency’s workplace diversity. “The coast must be saved for the people. That is why we are having this hearing,” Lester said, adding preservation is at the heart of the Coastal Act. He added the commission has made substantial progress during his tenure as executive director. His mission, Lester said, was to depoliticize his role and provide as much direction as possible for the commission to achieve its missions. Lester boasted several accomplishments during his tenure as executive director, such as the addition of 25 new staff positions, $5 million in funding for local governments, elimination of backlog for projects reduction of time to process for LCP amendments by 80 percent, a greater understanding of sea level rise and coastal flooding, and publishing all commission meeting agendas in English and Spanish. The executive director added conflicts and disagreements come with the territory. His goal was to argue about outcomes, not process. The role of independence is essential to the commission’s role as a quasi-judicial body, Lester said. Balancing an independent staff with an engaged public how the Coastal Commission maintains trust, he added. Representatives from State Sen. Hannah Beth Jackson, Assembly member Toni Atkins, Humboldt and Sonoma counties Board of Supervisors, Banning Ranch Conservancy, Surfrider Foundation, Coastal Commission staff, Northern Chumash Tribal Council, Pebble Beach Co., Sierra Club, Grassroots Coalition and Greenspace were among the speakers who spoke in favor of retaining Lester as the commission’s executive director. Public speakers questioned the commission’s motive to remove Lester, said they were unclear of the evidence against him, and asked who opposed the executive director and for what reasons. Some worried the Coastal Commission would no longer be transparent or independent but instead be politicized, allowing public access to the coast to be hindered by private development. Others alleged the process of trying to remove Lester from the commission was part of a greater attack on the Coastal Act. How could the commission’s future actions be trusted if the public was not properly or fully informed of why Lester faced an ouster. Lester, the Coastal Commission’s fourth executive director, joined the state agency in 1997. He also served as the commission’s senior deputy director prior to his appointment to his role as the head of the commission’s staff in 2011. Prior to joining the commission Lester was an assistant professor of Political Science at University of Colorado, Boulder. He holds a PhD in Jurisprudence and Social Policy and a law degree, both from University of California, Berkeley, as well as a Bachelors degree in Geochemistry from Columbia University.